NOTE: Medicare no longer has an Annual Election Period (AEP). It is now the Open Enrollment Period. This is the period each year when you may make changes to your Medicare coverage. It runs from October 15 through December 7. 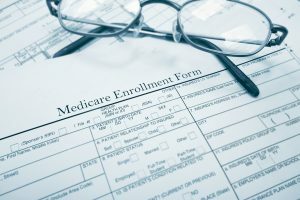 During this time, you may change from Original Medicare to a Medicare Advantage (MA) Plan, switch from MA to Original Medicare, or move from one MA plan to another. You may also join a Medicare Prescription Drug Plan, or switch from one drug plan to another, or even drop prescription coverage entirely. These changes become effective on January 1 of the following year. Michael purchased a Medicare Part D Prescription Drug Plan on November 21, which was within the Open Enrollment Period, and he looked forward to having this coverage on January 1.